SHI 2010 | NOVA Cool Cats Special Hockey, Inc. 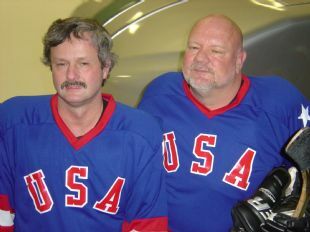 The 2010 Special Hockey International Tournament will be held in Orangeville, ONT. We are looking to get a bus to the tournament. The departure date is April 14th, 2010 and the returning date is April 18th, 2010. We will have atleast three games. A huge banquet on Saturday night. We trade pins at the banquet. The kids get to socialize with other players from other teams in the tournament. It is a very special time. The coaches will play in the coaches game. You can cheer them on. We will be taking tours between games. We attended the Toronto Blue Jays game. We visited CN Tower.